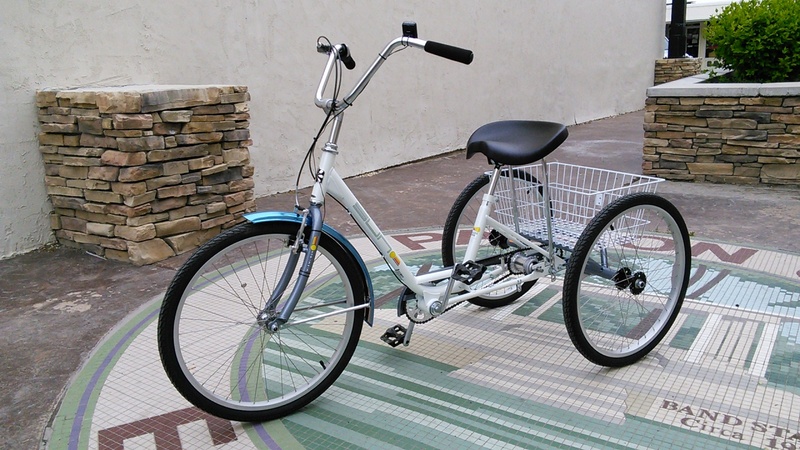 We realize that not everybody is into recumbent trikes. 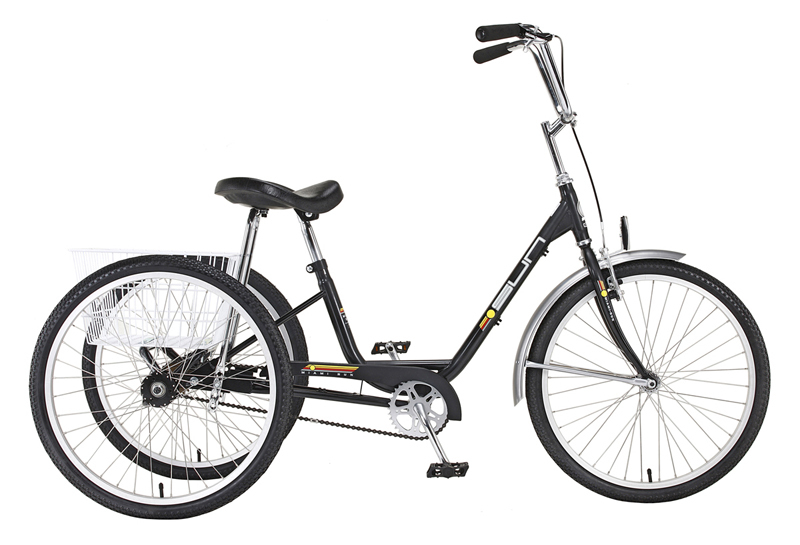 If you've got bicycling on your mind but crave the added stability and comfort of a three wheeler, then the Miami Sun is just what you're looking for. 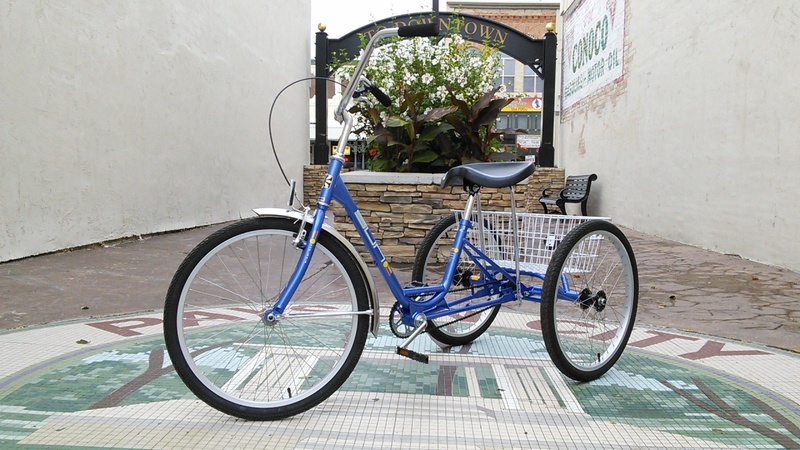 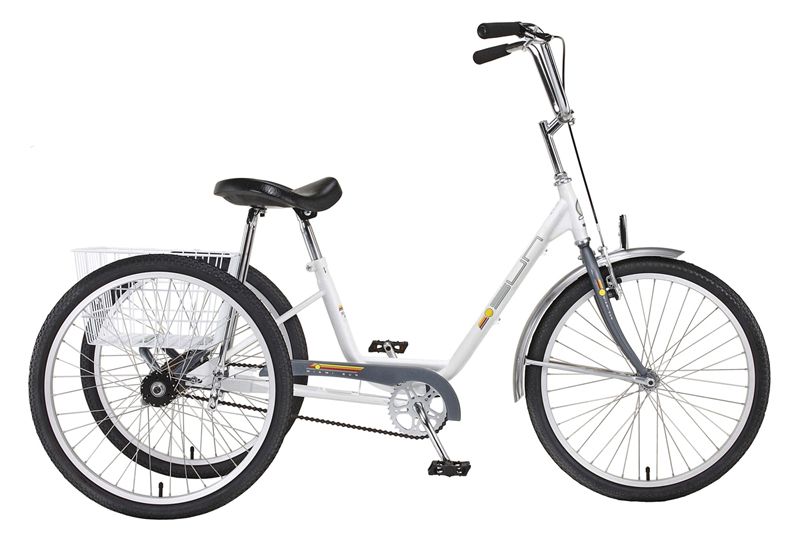 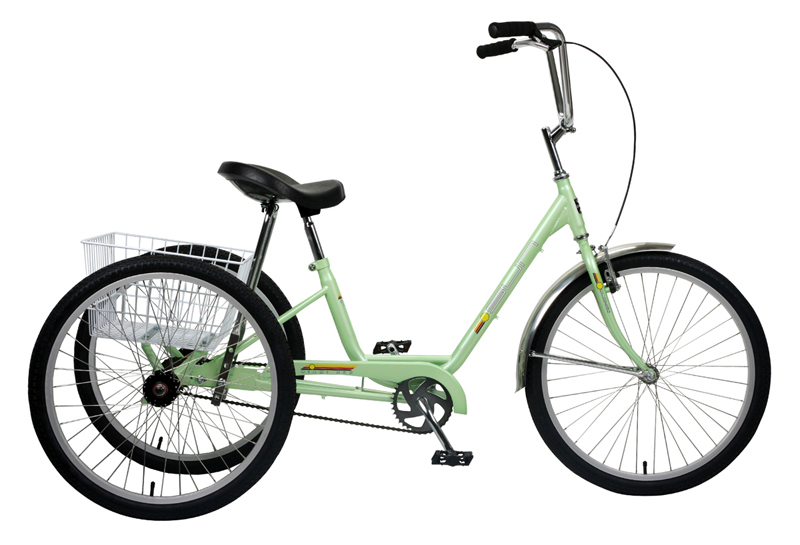 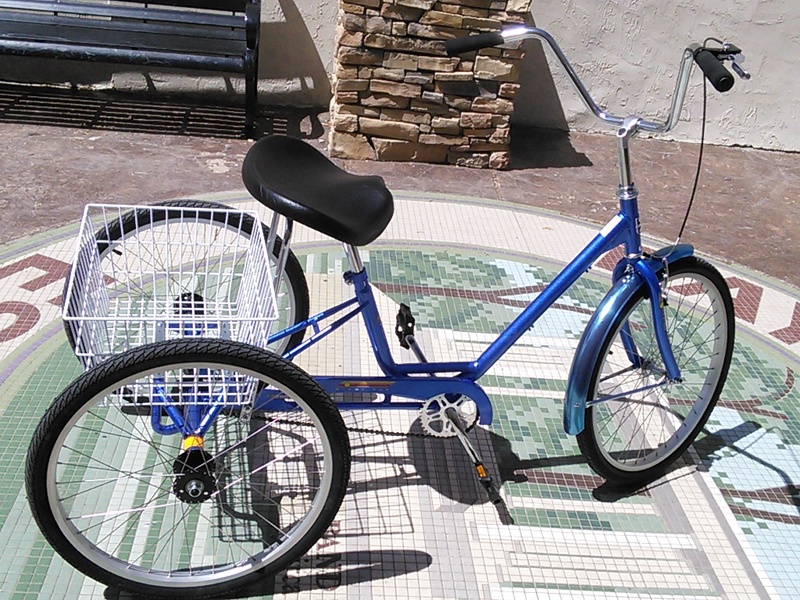 This user-friendly adult trike has 24in wheels and an extremely low step-through for easy on and off access. 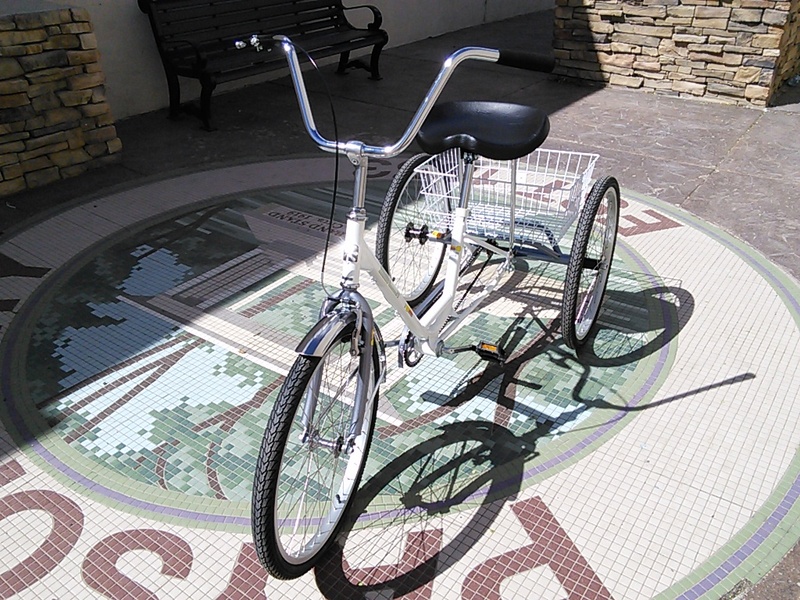 Once seated you immediately notice the impressive comfort of the famous western style saddle. 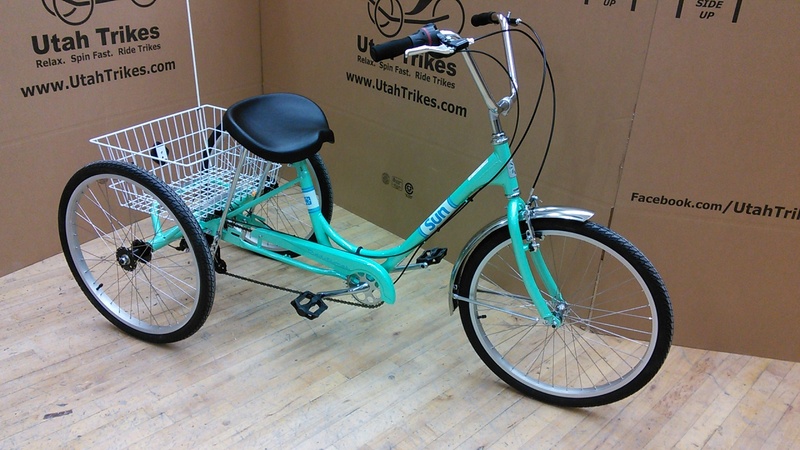 If bigger is better, then we've hit pay dirt with this saddle. 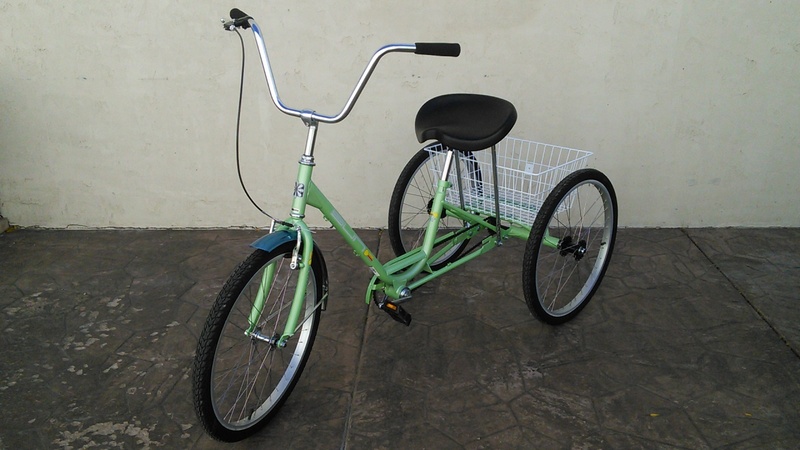 This trike comes with weight saving alloy rims, a front fender and a vinyl coated rear basket for easy trips to the market or your favorite shops. 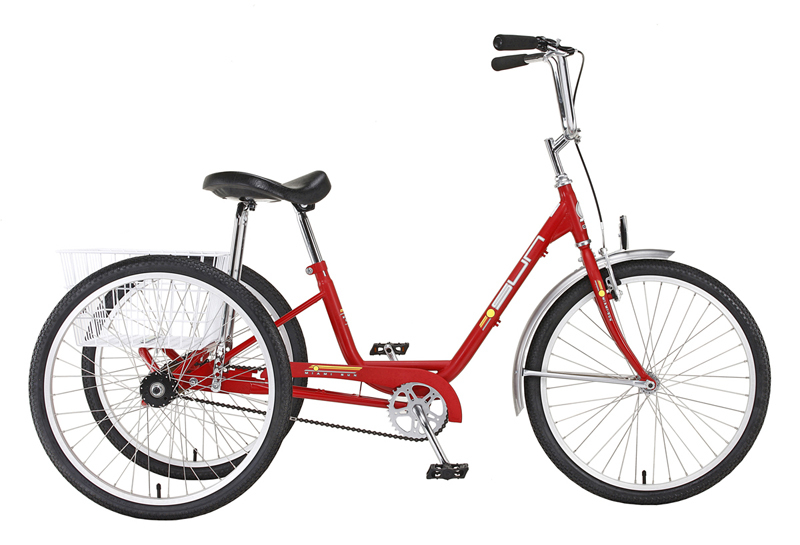 It's been the best-selling adult tricycle for years, for good reason. 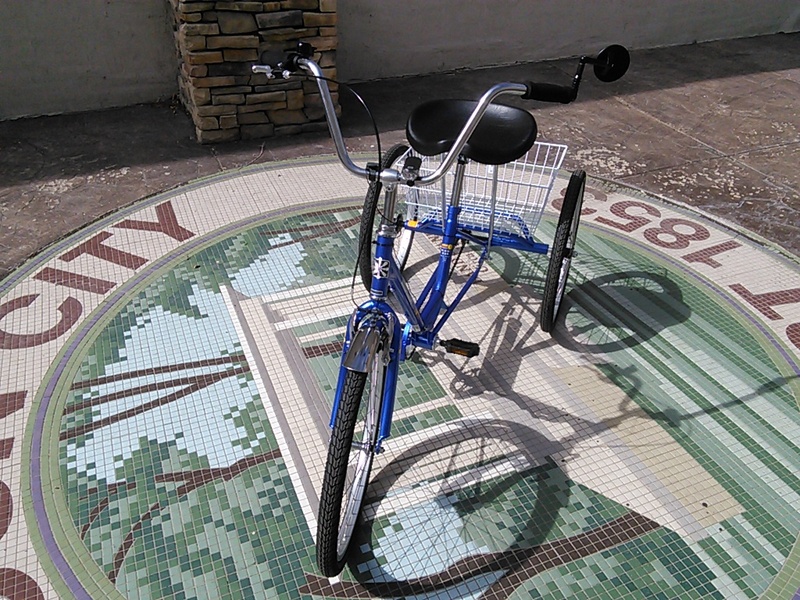 Take one for a spin today and see for yourself how bright the Miami Sun is. Available in a variety of colors to suit any taste.